That’s right folks! Round 9 is less than 6 days away. This week is going to be an interesting week. I am currently fostering a rescue dog and it is interesting to juggle work, free time, and puppy. If anyone is interested in giving autocross a try, hit me up. The event is open to everyone regardless of skill level. Most people autocross because they enjoy it! Registration closes on Friday night! Including this event, there are three events left in the season. Time to put my head down and trying to scrounge up every point I can get! Last, but not least… ADOPT! DON’T BUY! If you are considering adding a pet to your family, consider adopting! There are a lot of great pets out there that need homes. Round 9 at Marina is right around the corner. The season is starting to wrap up and there are only a handful of events left for the Championship series, but there is still a lot of work to be done. A few good performances with the remaining events will definitely help with the series point standings. If you are new, and you would like to get into autocross, definitely check it out. 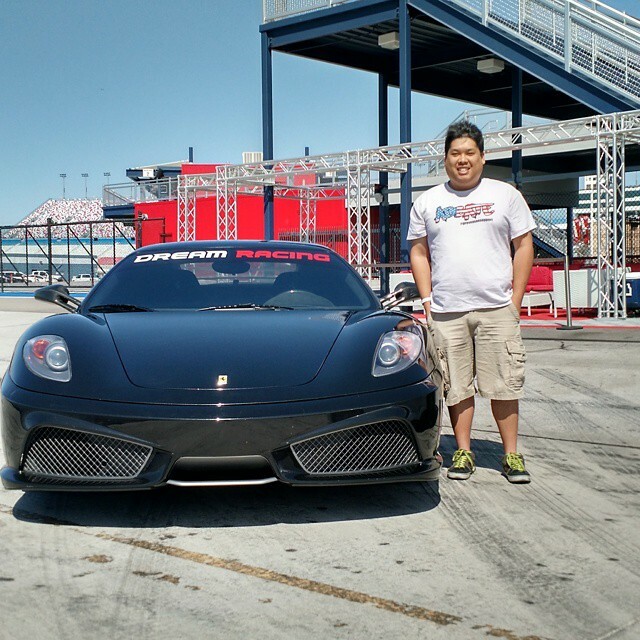 Autocross is a great way to enjoy your day and is accessible to anyone that has a drivers license and a working, road-worthy car. No time like to present to get involved. 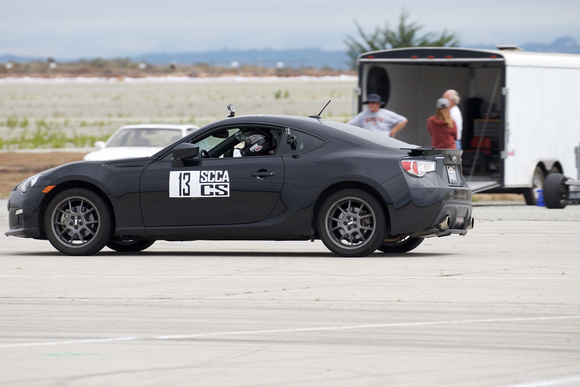 Whether your are competitive or not, autocross is a great way to spend your day learning to drive your car and having a blast at the same time. I don’t think there will be many changes to the car for this event. We’ve run at Marina and Crow’s Landing all year and I think we got the car to where we want it to be. There’s certainly little tweaks here and there we need to do, but otherwise, it feels pretty good. The car is not quite as heavily modified as the rules allow, but I don’t feel like I am at a huge disadvantage. It’s really not that big of a deal. Sometimes, you have to play the hand that is dealt. With only a few events to go, it is time to hunker down and really make a big push. Go big or go home. And another event in the books. Round 8 was… interesting. I got wrecked this event. After 5 runs, I could only come up with one clean run. Not quite sure what happened, though I have to say that that the course was very challenging. My best run ended up being my second run, which was the only clean run. All my other runs were dirty. My best raw time was my fourth run, a 49.5xx +2. As for my last run, I felt like I was carrying a faster time, but something happened and I spun right after the showcase turn. I am not quite sure what happened. I remember being very aggressive on the throttle and the tail came out. I watched the video a few times, and that didn’t really help either. As frustrating as it is, there’s never a bad day of racing. Things happen. Some days, we are unlucky, but I would rather go racing and lose than not go racing at all. All and all, the event was great. The course was very challenging and full of elements, not to mention that the course really utilized the space available at Marina. Check out the video in the previous post. Despite the cone carnage, I was able to secure a third place finish out of 8 people and the points will help toward the season total. Dennis and I debuted our Cone Jars for this event. At the end of Round 8, I owe $5 to my jar, and Dennis owes $2 to his jar. I think that’s a pretty good start. Hopefully, we will have some others join us. Round 9 will be in three weeks. Looking forward to coming back to Marina and improving. Hopefully chipping away a few more points to have a better foothold in class. The next event is just around the corner. It’s been a few weeks since I last autocrossed and I am looking to getting back in the car and seeing what I can do. 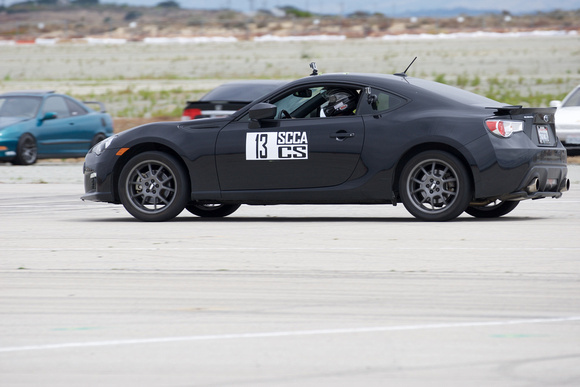 Dennis and I are going to be on our way to Marina on Sunday morning for Round 8 of the SCCA Championship series. So far, things are going well. Every event, I am learning a little more about myself and a little bit more about the car. I am still not as comfortable in it as I am in the Impreza, but I’ll eventually get there. This will be the first event where Dennis and I will be debuting our “Cone Jar.” We’ll pay into the cone jar for every penalty or DNF we will incur. I’ll have to make a trip down to a local sports store and pick up a cone/pylon I will use to collect the money. If anyone was curious how fast I was going, I hit the top of fourth and was in 5th gear at one point. Not sure what that equates to… I think top of 4th was 210kph (~130mph). Sharing this because I think this is important.